The set also includes a 24-page booklet with a page dedicated to each film. I personally would have liked a beefier book with more information and behind the scenes photographs, similar to Warner Bros. digibook releases. As you can see, the included films are some of the best ever made with such fan favorites as Gone with the Wind, Casablanca, One Flew Over the Cuckoo’s Nest, and The Lord of the Rings: The Return of the King. However, what I appreciate most is the inclusion of some lesser known films such as Grand Hotel and The Best Years of Our Lives. I applaud Warner Bros. for selling this set at a low price of $64.98. 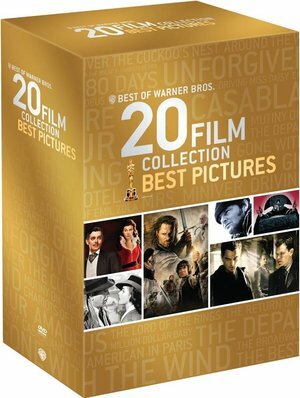 You get 20 great films at what amounts to $3.25/each – an absolute steal. I highly recommend picking this one up if you’re a fan of classic cinema or if you’re looking to expand your film knowledge. This would also be a great gift for a film student, or really anyone that loves movies.